Get ready for the performance of a lifetime! The African Children's Choir entertains audiences with charming smiles, beautiful voices and lively African songs and dances. 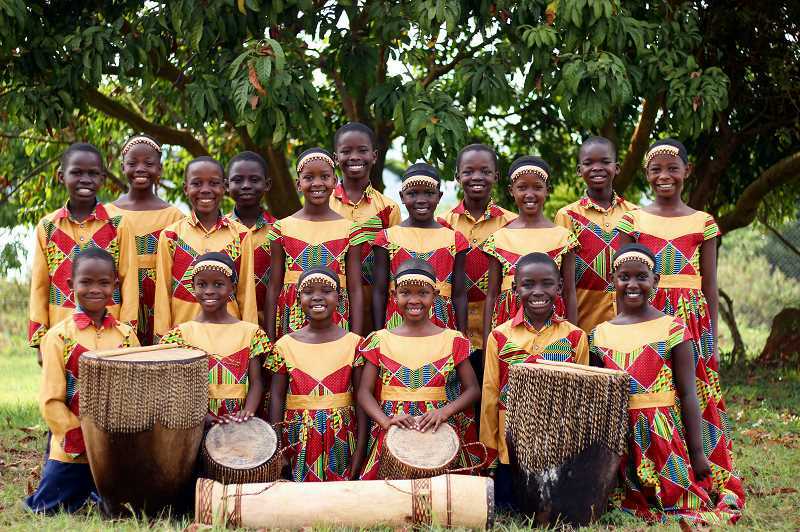 Their program offers children's songs, traditional spirituals and gospel favorites, and their performances support the choir programs including education, care and relief and development in their homelands. They are coming to Molalla and Silverton on Dec. 2 presenting a free musical program, but donations will be accepted and will help improve lives in African countries. It is part of Africa's Music for Life (MFL), the choir's parent organization and works in Uganda, Kenya, Rwanda and South Africa. Its work has educated more than 52,000 children since the 1980s and impacted the lives of more than 100,000 people through its relief and development programs. MFL's purpose is to help create new leadership for the future of Africa by focusing on education. The group has 1,200 former choir members, some of whom are in the 40s now. Through Music for Life's education program many of these people are now doctors, lawyers, nurses, journalists, engineers, entrepreneurs and chefs. "They have a variety of skills," says Tina Sipp, choir manager for the group. "We have a vision cast for them. We are training them to give back [to their communities] by building Christian values, character and leadership," she added. The children come from some of the neediest African families. Among the songs they sing are two familiar hymns set to African rhythms, which Sipp says are unbelievably beautiful and stirring. They will visit 100 cities. Local churches will provide host families to help with English language immersion, the language their teachers will use when they get back to Africa. "Their [English] proficiency increases dramatically during the tour," Sipp said. They also will be spending Christmas in Oregon, seeing the different ways North Americans celebrate and eating different dishes. On the other hand, two African chaperones will provide Ugandan dishes for their host families, Sipp said. Prior to coming here, they spend six months training and have a repertoire of contemporary Christian and African worship songs as well as gospel and inspirational music. They will go back to a boarding school after being immersed in English and learning some Western ways. They become part of an extended family, according to Sipp, so their return isn't back to poverty. The African Children's Choir has performed before presidents and heads of state. Most recently, it performed for Queen Elizabeth II at her diamond jubilee. The choir also has sung with various inspirational artists including Paul McCartney, Annie Lennox, Keith Urban, Mariah Carey and Michael W. Smith. Tickets to the morning performance in Molalla and the evening one in Silverton are free, but donations for the community concert will be accepted. The first performance in this area is on Dec. 2 at Molalla's The Country Church at 16975 South Highway 211 at 10 a.m. The Silverton performance is scheduled for 7 p.m. on the same day at Silverton High School, 1456 Pine St. housed by the Silver Creek Fellowship. Music for Life began in 1984 when Ray Barnet, who was working with a persecuted church in Uganda, gave a ride to a young orphan boy, whose parents were killed in the war. Barnet was overwhelmed by the child's demeanor and hope for the future. Choirs were started and the children trained to spend time entertaining people in North America. They still had their schooling while on tour. In the nearly 1990s Luwero Boarding and Day School was established and now more than 1,000 children from the area get an education sponsored by the Choir. The school was established in the Luwero war zone, known as the "Killing fields of Africa." As more choirs were established, the funds earned from the children's tours paid for more schools and other advantages, like clean water wells, throughout war-torn countries in Africa including Uganda, Rwanda, Kenya and South Africa.